Last week I wrote critically of the worldview underlying most of the sociology books I read using Future Babble as the prime example. Future Babble is all about expert predictions gone horribly wrong. Daniel Gardner’s basic thesis is that a lot of experts are really bad at predicting what will happen in the future, but that people tend to keep buying into these predictions anyway. It was an interesting book, and even though I find fault with some of the underlying assumptions, the book still has a deeper wisdom that is worth paying attention. I took two big lessons from this book. Gardner makes a distinction between experts who he calls hedgehogs and others he calls foxes. Hedgehogs know one thing really well. They are smart and confident. They are usually the ones who appear as talking heads on cable shows. They sell lots of books. But they are often wrong. If fact, they’re no better than non-experts at making predictions about the future. Hedgehogs are also great at “explaining away” their misses. “I just got the timing wrong,” “If only this hadn’t happened,” “you misunderstood what I said to begin with,” etc. Foxes, on the other hand, don’t focus on only one thing. They are less confident and more cautious. Because they are more nuanced, they’re less likely to be on talk shows and TV. They’re also a lot more likely to be right about the future. When they get it wrong, they’re more likely to admit it and learn from their mistakes. Hedgehogs are marked by pride; foxes by humility. I think I remember something about pride going before the fall. We should be wary of our own overconfidence. Don’t be a hedgehog. But don’t trust a hedgehog either. They’re often wrong. There have been many doomsayers throughout the years. The world was supposed to be way overcrowded by now, with the end of affluence, and whole sections of the earth wiped out by famine. The age of oil was supposed to be over. There have also been those who predicted that all would be sunshine and roses, that we would be living in a Utopian age. Neither of these predictions, confidently given, turned out to be correct. But a string of bad predictions doesn’t dissuade a new generation of confident pundits from boldly predicting the future. We should be cautious of them. Gardner’s argument for why experts so often get it wrong is two-fold. First, we live in a complex world. Second, we’re biased in our judgments. I would agree with both of these (though for slightly different reasons than he does). I would add a third element. There’s another hand at work: the providence of God. He holds history in his hands and his ways are beyond and above our ways. Though we can expect the future to be filled with both highs and lows it’s less important for us to know exactly what those will be or when they will occur than it is to focus on our relationship with the One who holds that future. Uncertainty is a cause for worry, but God has not given us a spirit of fear, but a spirit of wisdom and self-discipline. Leave the future to God, focus on following him now. 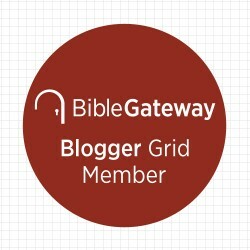 This entry was posted in Book Review, Christianity and tagged Daniel Gardner, Experts, Future Babbel, Humility, Predictions, Pride on June 28, 2017 by stevenkopp.